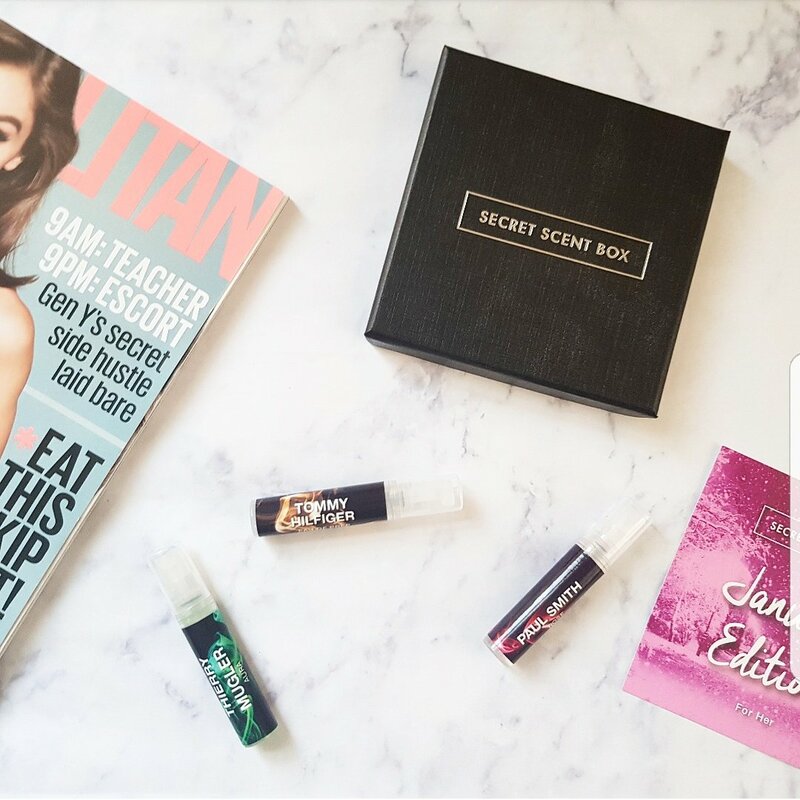 Secret Scent Box is a 30 day supply of fragrance (3x 3ml vials), delivered each month from three different brands. 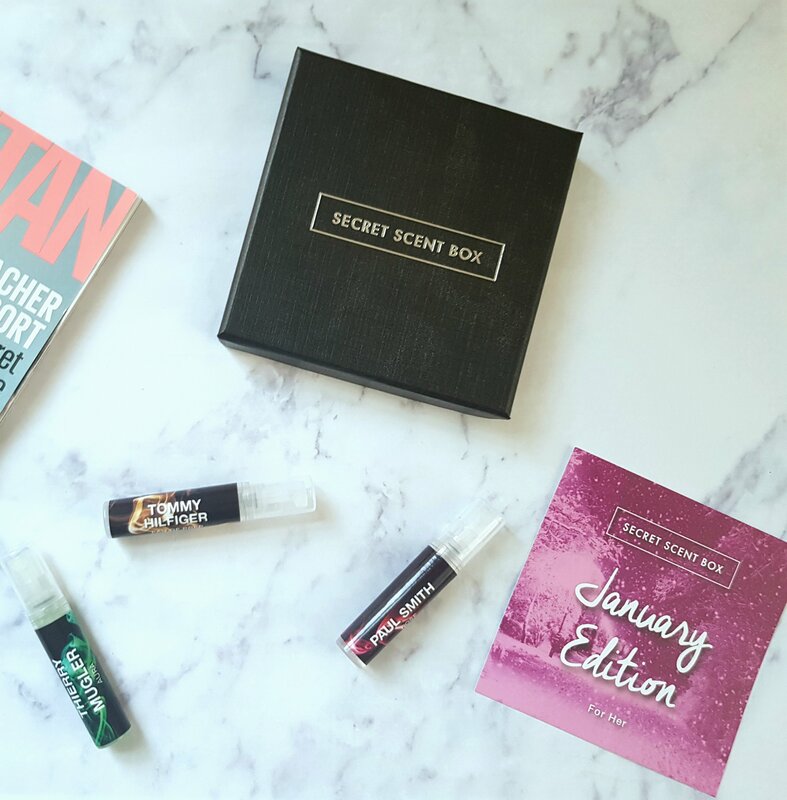 I am reviewing the January Box, but there are great sale offers for February’s box! This month included samples from Thierry Muglar, Tommy Hilfiger and Paul Smith. They come packaged in a palm sized box which fits nicely through your letter box. Firstly, the Thierry Muglar scent – Aura. This is a new fragrance from 2017, that has an oriental and botanical theme. With base notes of bourbon vanilla and middle notes of orange blossom. It’s bottle is heart shaped and a deep, green emerald shade. Paul Smith – Rose 2012, has a base note of white musk and sandlewood. It has a floral, fresh scent which is more modern than your traditional rose scents. 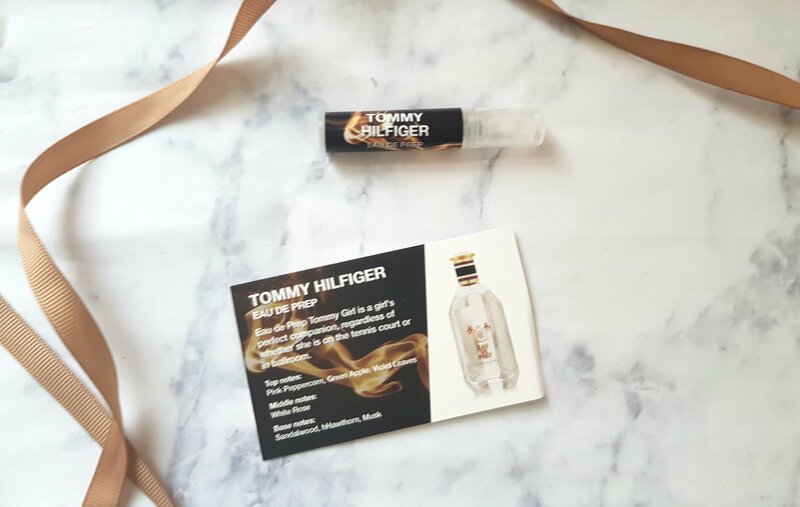 Finally, my favourite; Tommy Hilfiger Eau De Prep. This scent is a little older, from 2011. But it’s a fresh, floral scent with sweet hints. It’s base notes are sandlewood, with top notes of violet leaves and green apple. I love it’s flexibility to go from day to night, so much so, that I’ve asked for a bottle for my birthday! It’s also the cheapest bottle on the market out of the three. Overall, the box provided three totally different scents, so it appeals to all. For £15.00 a month, it’s nice to get a variety of scents to try out. Luckily I liked all of the scents, however, I would have liked a discount code to buy them full sized. I feel this would have given a nice incentive to buy all three! This is a cool box, and I love how it comes packaged.